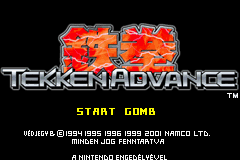 Tekken Advance is a fighting game released for the Game Boy Advance. 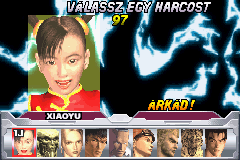 It is non-canonical to the Tekken storyline, but follows the events of Tekken 3. It was the first Tekken game to be released on a Nintendo platform. 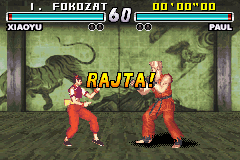 Hungarian translation for Tekken Advance. 1. 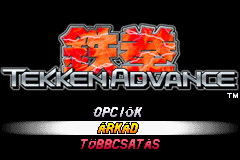 The translation is about 97%, because the graphical result ‘TIME ATTACK’,'GREATEST SURVIVORS’ and ‘CHARACTER USAGE’ signs are not translated. 2. 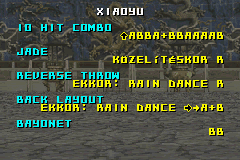 The character move names are not translated either. 3. The ‘LOW’ ‘HIGH’ ‘MID’ signs in the practice mode are not translated.